No, you have not fallen through a time warp and woken up in 1919. On Sunday, October 3rd, the 20th anniversary of German reunification, Germany will pay the last of the reparations stipulated in the Treaty of Versailles. The reason it took 92 years is that there were multiple interruptions, restructurings and reduction of the debt from the initial crippling judgment. The first sum assessed in 1919 was a staggering 269 billion gold marks (around 96,000 tons of gold). John Maynard Keynes, the representative from the British Treasury to the Paris Peace Conference, actually resigned in protest. “Germany will not be able to formulate correct policy if it cannot finance itself,” he said at the time, and boy did he turn out to be right. Germany couldn’t keep up with the payments and in 1923 defaulted. France and Belgium responded by sending troops into the Ruhr River valley, the heartland of German industrial production. Germans passively resisted the occupying forces, stopping coal production and railway transit cold. 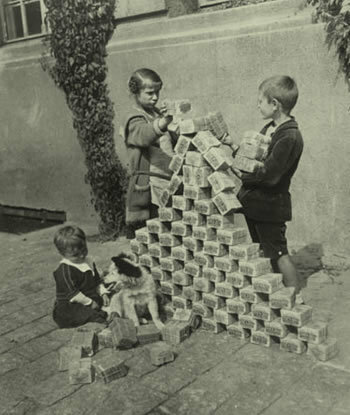 This impasse was a major factor in the hyperinflation that followed, as seen in pictures of kids using stacks of worthless banknotes to build forts and women burning them for heat. To try to staunch the wound, the Entente powers hastily threw together the Dawes Plan which reduced Germany’s overall war debt to 132 billion gold marks, guaranteed loans from the US and got the occupying troops out of the Ruhr. Although German business rebounded, the damage had been done and the annual payments were still too enormous for Germany to make good on. The debt was reduced again to 112 billion gold marks in the Young Plan in 1929, but then the world economy asploded so at the Lausanne Conference in 1932, the Allies to all intents and purposes suspended the payments. 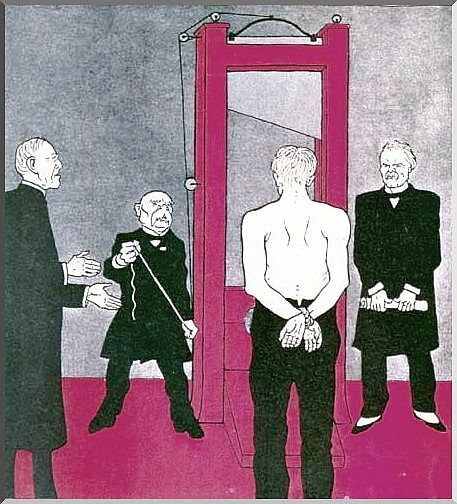 The year after came Hitler and he wasn’t keen on paying reparations. It wasn’t until 1953 when Germany had been divided and West Germany was occupied by Allied forces that the subject of the Versailles reparations was addressed again. But in 1953, West Germany agreed at an international conference in London to service its international bond obligations from before World War II. In the years that followed it repaid the principal on the bonds, which had been issued to private and institutional investors in countries including the United States. Under the terms of the London accord, Germany was allowed to wait until it unified before paying some €125 million in outstanding interest that had accrued on its foreign debt in the years 1945 to 1952. After the Berlin Wall fell and West and East Germany united in 1990, the country dutifully paid that interest off in annual installments, the last of which comes due on Oct. 3. And here we are. 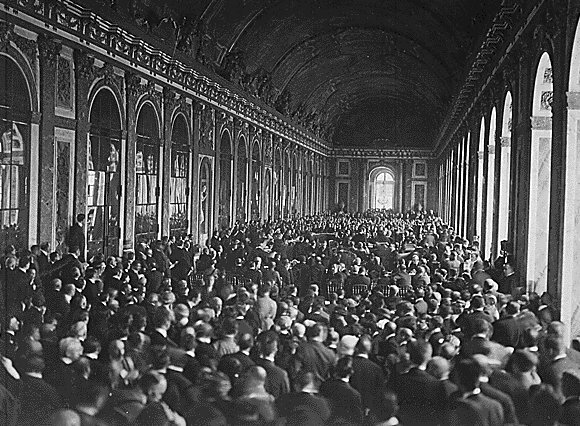 If you’re very crazy and/or bored, you can read the entire text of the Versailles Treaty here. 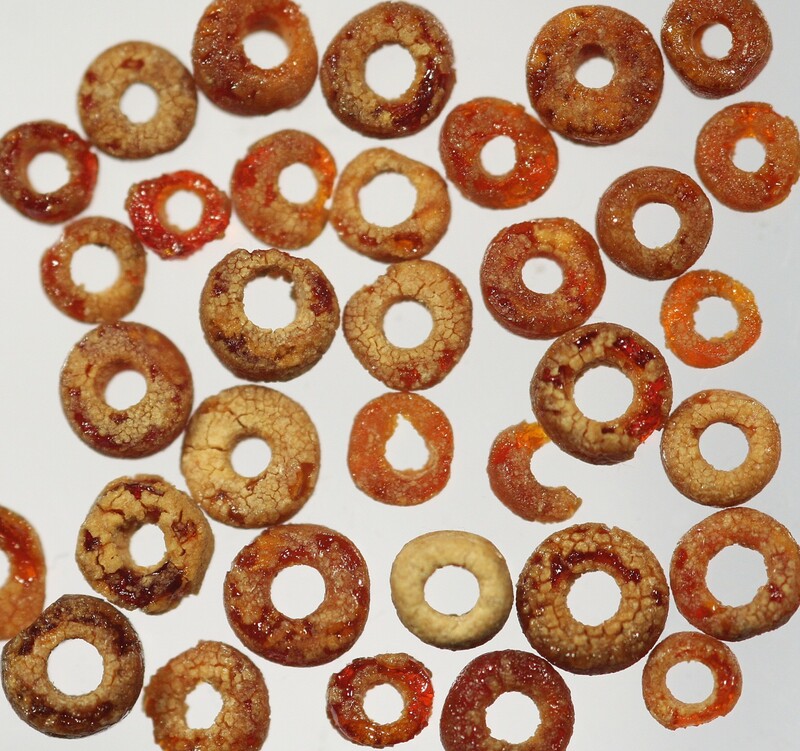 In 2005, road workers digging an area about 3 miles southeast of the standing stones uncovered the skeleton of a teenage boy who had been buried with a beautiful necklace of 90 amber beads. The fact that he was buried close to the monument and with such a valuable piece of jewelry indicated that he had been someone of importance in life. From radiocarbon dating we know the young man died 3,550 years ago, a period when Stonehenge had already been finished over 1500 years. Examination of his bones put his age at death to 14 or 15 years old. Now isotope analysis of a sliver of his tooth enamel indicate that he grew up far from where he died, somewhere in the southern Mediterranean. The Boy with the Amber Necklace is not the only non-native to be buried in the area. 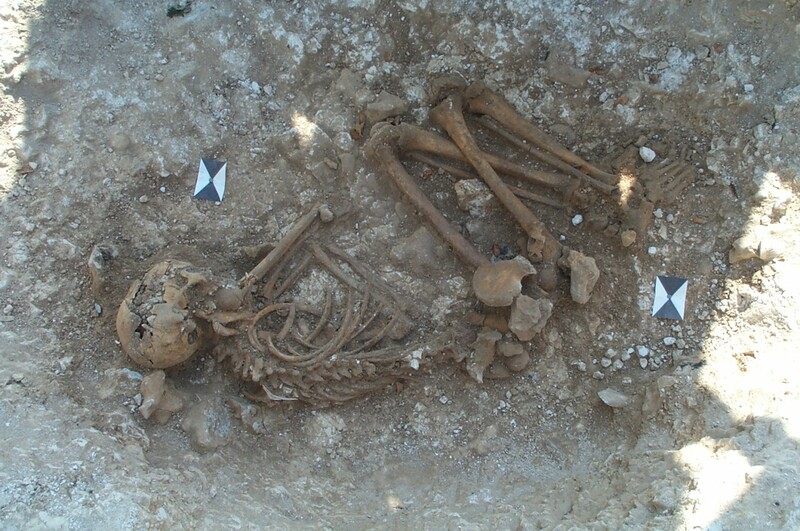 Isotope analysis done several years ago of the Amesbury Archer, whose grave contains some of the earliest gold and copper objects found in Britain, indicated that he had been raised in a colder climate, probably Alpine Germany. He was visiting Stonehenge 800 years before the Amber youth. The Boscombe Bowmen, who died in 2300 B.C. and were buried near where the Boy with the Amber Necklace would be found, were most likely from Wales, although they may have come from as far afield as Brittany. We don’t know what brought these people to Stonehenge, of course. They may have been tourists or pilgrims. They may have been traveling for work purposes, in the case of the Boscombe Bowmen, possibly to work on Stonehenge itself. A 1910 silver necklace with more than 200 diamonds, including 9 beautiful and rare blue diamonds was unveiled Monday at the Smithsonian National Museum of Natural History. The Edwardian piece was donated by an anonymous California donor who scheduled it to coincide with the National Museum of Natural History’s 100th anniversary. The necklace is a stunning example of classic Edwardian style, a period when bow and lace were popular motifs in jewelry design. The double bow is encrusted in diamonds, with two large blue diamonds inside each of the loops. The largest single diamond in the setting is a 2.6 carat blue diamond pendant hanging from the center of the bow, almost half the 5.32 carat total weight of the 9 blue diamonds in the piece. The blue diamonds in the necklace have a link to the biggest rough diamond ever discovered. In 1905, workers at the Premier Diamond Mine in South Africa found a monster diamond with a total pre-cut weight of 3,106.75 carats. The owner of the mine, explorer Thomas Cullinan, had promised his wife that he would find and gift her the largest diamond in the world. Once he actually found it, though, he sold it uncut to the Transvaal government for 150,000 pounds. 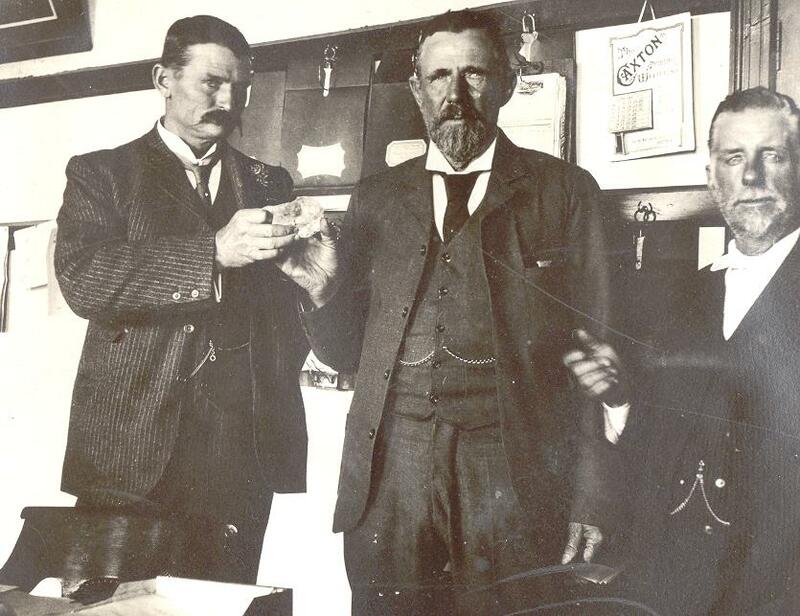 The Prime Minister of Transvaal gave it to King Edward VII as a birthday present in 1907, and the next year renowned diamond cutter Joseph Asscher cut the giant into nine stones. The largest, a 530.2 carat white diamond that would become known as the Star of Africa, is now set in the British Royal Scepter. The second largest, a 317.4 carat diamond known as the Cullinan II, is set front and center on the Imperial State Crown of Great Britain. So Cullinan had a lot to make up for with the missus, needless to say. In honor of his own knighthood in 1910, Cullinan commissioned the necklace for his wife, Annie, and the nine blue diamonds represented the nine pieces that were cut from the original stone. Parts of the huge diamond were placed — in various settings (scepters, rings, crowns, what have you) — in the jewelry trove of the British royal family. The necklace was bequeathed to each first daughter in each generation. “In the early 1980s, the great-granddaughter, Anne Robinson, got in touch with Stephen Silver and sold him the heirloom. Then Silver sold the necklace to another owner, who is donating it to us,” Post said. The 9 blue diamonds in the necklace are said to represent the 9 diamonds cut from the rough diamond that Mrs. Cullinan only got to see in the Tower of London with all the other tourists. 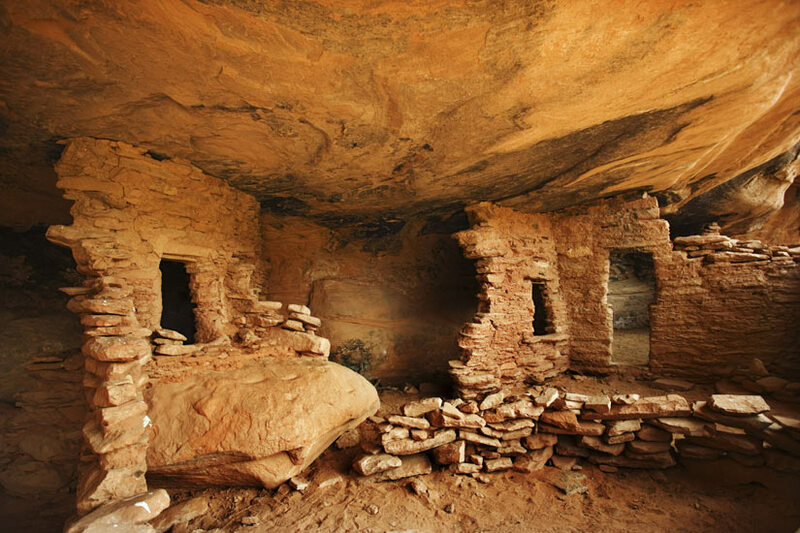 Ethnic cleansing among 9th c. Anasazi Pueblo tribes? Archaeologists excavating the Anasazi Pueblo site at Sacred Ridge, Colorado, have found an enormous deposit of mutilated human remains. Mass graves have been found before at Ancestral Pueblo sites, some of them showing evidence of horrific violence, cannibalism, deliberate desecration of the dead, probably inflicted to terrify enemies. The Sacred Ridge charnel pit, however, is the earliest and definitely the largest ever found. It dates to around 800 A.D., a period when the first Ancestral Pueblo villages were forming. The entire assemblage comprises 14,882 human skeletal fragments, as well as the mutilated remains of dogs and other animals killed at the massacre site — Sacred Ridge, southwest of Durango, Colo.
Based on the archaeological findings, which include two-headed axes that tested positive for human blood, co-authors Jason Chuipka and James Potter believe the genocide occurred as a result of conflict between different Anasazi Ancestral Puebloan ethnic groups. “It was entirely an inside job,” Chuipka, an archaeologist with Woods Canyon Archaeological Consultants, told Discovery News. The unearthed bones and artifacts indicate that when the violence took place, men, women and children were tortured, disemboweled, killed and often hacked to bits. In some cases, heads, hands and feet appear to have been removed as trophies for the killers. The attackers then removed belongings out of the structures and set the roofs on fire. Chuipka and Potter think the slaughter was the result of massive social stress possibly coupled with severe environmental hardship like a drought, and that the deceased were targeted as group scapegoats. Biodistance analysis done on the teeth of Sacred Ridge human remains indicate that the dead were genetically connected to each other and distinct from neighboring populations. The extent of the mutilations and their systematic disposal suggest the mass killings were planned as such, not spur of the moment responses to circumstances like the other Ancestral Pueblo mass graves which show evidence of starvation cannibalism, war and witch hunts. These unique characteristics of the Sacred Ridge mass grave suggest to the authors of the study intentional ethnic cleansing. Click here to read an abstract of the study or the study itself if you have a subscription. There were color movies from the earliest days of cinema, including Edison’s 1895 short Annabelle’s Dance and George Méliès famous 1902 A Trip to the Moon which he sold in black and white and in color (for an additional fee, of course). They were hand-colored, however, not shot in color. The French film studio Pathé used a stenciling system starting in 1905. The process cut out sections from the film which would then be run through dye rollers of up to 6 different colors. It would remain popular for two and a half decades and would employ hundreds of women as stencilers. Tinted film was also widely used. It was cheap and easy and filmmakers could match a scene to one of the pre-dyed color reels, so for instance, a fire scene would be shot on red tinted film. Hollywood kept using tinted film for effect well into the 50s. Shot with a dual-lens camera, the process recorded filtered images on black-and-white negative stock, then made black-and-white separation positives. The final prints were actually produced by bleaching and tanning a double-coated duplicate negative (made from the positive separations), then dyeing the emulsion green/blue on one side and red on the other. Combined they created a rather ethereal palette of hues. Kodak introduced Two-Color Kodachrome to the industry in 1922 through a series of private screenings, first in New York City and subsequently at venues across the country. That first test reel contained shots of actress Hope Hampton, but it has not been determined if that reel is still extant. Earlier this year, the George Eastman House’s Motion Picture Department restored some of those 1922 test films used to pitch the Kodachrome process to the studio bosses. In these newly preserved tests, made in 1922 at the Paragon Studios in Fort Lee, New Jersey, actress Mae Murray appears almost translucent, her flesh a pale white that is reminiscent of perfectly sculpted marble, enhanced with touches of color to her lips, eyes, and hair. She is joined by actress Hope Hampton modeling costumes from The Light in the Dark (1922), which contained the first commercial use of Two-Color Kodachrome in a feature film. Ziegfeld Follies actress Mary Eaton and an unidentified woman and child also appear. Finally, the film includes panoramic scenes of homes in the Los Angeles area shot by Capstaff in July of the same year. Fox eventually bought it, but it turned out to be a pig in a poke. In 1930, Fox spent huge amounts on special labs on each coast, plus special tens of 35mm and 70mm cameras for shooting using the Two-Color Kodachrome Process. By then one of Kodak’s competitors Technicolor had become the industry standard and expensive, complicated Kodachrome was over before it really began. Fox never got to use any of those specialty cameras for Kodachrome, although a few of the 35mm would be repurposed over 2 decades later for the widescreen, high resolution VistaVision process. The origins of denim are cloudy. Both Nîmes, France, and Genoa, Italy, claim to be its birthplace, and they both have solid grounds for the claim. The André family produced the sturdy cotton twill dyed indigo known as serge de Nîmes (hence denim) for generations, but Genoa claims to have produced jeans for sailors and fishermen since the 1500s. Although those jeans started off brown, eventually they switched to that characteristic indigo color and became known as Bleu de Genes (hence blue jeans). One thing we know for sure is denim was a working class fabric. It was tough as hell and could be worn for years by people who rode them hard and, especially in the case of the Genoese sailors, put them away wet. Cowboys, railway workers, fishermen, beggars and lumberjacks didn’t often get their daily lives documented for the historical record, and while high-end textiles are sometimes carefully conserved over the centuries, jeans got worn until they fell apart. That’s why the discovery of an anonymous Northern Italian painter who depicted poor people wearing denim in the mid to late 1600s is such a surprising find. The fact that he painted the poor going about their business is rare enough; the fact in all but one of his recently-discovered works they’re wearing clearly identifiable jeans skirts, trousers and jackets is unheard of. It has earned him a snazzy anachronistic moniker, too: the Master of Blue Jeans. Ten paintings have been attributed to the Italian artist, eight of which are on show in Paris alongside works by contemporaries such as Michael Sweerts or Giacomo Ceruti, loaned from museums and private collections in Rome and Vienna. The paintings are currently on display in the Canesso Gallery in Paris. 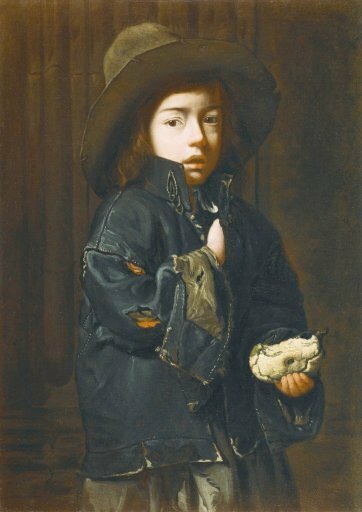 My favorite is “Beggar Boy with a Piece of Pie” (see picture to the right) because that jacket is so totally a jeans jacket. I seriously had one just like it junior high, only I intentionally put tears in mine to look cool. Abject poverty has made Beggar Boy look cool naturally. As much as technology from DNA testing to satellite imaging has had a profound impact on the practice of archaeology, some of the most basic elements of field work have remained the same for hundreds of years. Recording the excavation site is still primarily a pen-and-paper operation; only later are the handwritten notes entered into software like CAD and Harris Matrix builders. It’s a huge amount of note-taking. The forms describing soil layers and features can reach into the hundreds for a single trench. Then there are the elevation recordings, scaled drawings of the trench which have to be made every day to show the changes as the excavation proceeds, plus the on-site Harris Matrices that establish the relative ages of the layers. Sharing updated information can be a challenge, needless to say, but even in an era of portable computing, pen-and-paper has persisted as standard practice. Laptops have a lot of moving parts that don’t respond well to trenches full of dirt, and electricity is always a challenge in the field. The iPad solves both of those problems, and has the added boost of lots of apps that fit archaeological needs like a glove. It’s easily portable (even more so than pen and paper because you don’t need a writing surface or a writing implement), has no moving parts to get impacted with dirt, and the battery lasts the whole day. Plus, you have the entire Internet at your fingers for your on-the-spot research needs. The University of Cincinnati’s Pompeii team is putting 6 iPads through their paces in their excavation of a neighborhood off Pompeii’s main street. With iPad, [University of Cincinnati’s archaeological databases expert John] Wallrodt was able to re-create each of [the pen-and-paper] functions using “off-the-shelf” apps from the App Store. FMTouch replaced paper forms by allowing researchers to make direct entries into their database forms on iPad. The Pages app supplanted paper notebooks, enabling them to not only enter notations on the iPad keyboard but also import drawings and photos. Scaled drawings were made directly on iPad in iDraw. And OmniGraffle handled the intricate matrix illustrations. Dr. Steven Ellis, director of the University of Cincinnati’s Pompeii excavation, estimates that the 6 onsite iPads have spared him a year of data entry already. He plans to double the number of them so there are 2 per trench. He thinks iPads in the field are going to be as big a leap forward as the introduction of computers to crunch data were 30 years ago. “The recovery of invaluable information from our Pompeian excavations is now incalculably faster, wonderfully easier, unimaginably more dynamic, precisely more accurate, and robustly secure,” he says. Titanic sunk by helmsman mistaking right and left? Louise Patten, successful author and businesswoman, has been keeping a secret for 40 years. Her grandfather, Charles Lightoller, in addition to being a decorated hero in both world wars, was also the second officer of the RMS Titanic and although he was the most senior officer to survive the disaster, he only told one person what he knew about the sinking: his wife, Sylvia. Patten’s grandmother told Louise the story in the 1960s but swore her to secrecy. Lightoller had lied to both the US Senate and the British Board of Trade official inquiries, telling them he knew nothing about how it all went down. 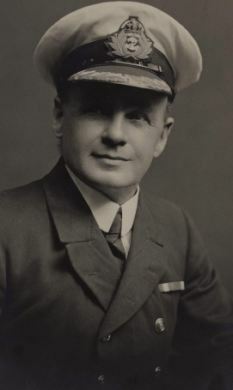 White Star Line chairman Bruce Ismay had told him on the rescue ship that if Lightoller told what he knew, White Star’s limited liability insurance wouldn’t pay out due to negligence and the company would go down with all hands. Out of loyalty to his co-workers and crew, Charles Lightoller covered up the truth for the rest of his life. Sylvia and her daughter (Patten’s mother) were fiercely protective of Lightoller’s heroic reputation, so they maintained the cover up after he died in 1952, keeping this juiciest of all gossip within a tight family circle, even doubting whether they should tell Patten herself. They did, though, and Louise kept the secret too for over 40 years. Her mother and grandmother are dead now and realizing that she is the only living custodian of this holiest of holies, she’s decided to tear the veil. Here’s what Lightoller told Sylvia really happened. He was in his cabin when Titanic hit the iceberg. After the collision, he was called to the bridge. There he joined the Captain Edward Smith and First Officer William Murdoch and they went to Murdoch’s cabin to arm themselves should violence break out when loading the lifeboats. They told him that steersman Robert Hitchens had panicked and turned the ship to the right instead of the left around the iceberg. How could a steersman mistake something as simple as turning right or left? Ismay then compounded the error by ordering Titanic go Slow Ahead instead of staying put and waiting for rescue. The forward movement put enormous pressure on the damaged starboard bow. Lightoller thought the ship would have remained afloat for hours if it had been allowed to remain in one place. The Carpathia, the ship that would collect the survivors, was 4 hours away. There could have been no loss of life at all. Lightoller was a witness to Ismay’s giving the Slow Ahead order. After that, he worked to load and lower the port lifeboats. He was apparently the strictest enforcer of the “women and children first” convention, so much so that he disobeyed a direct order to get in a lifeboat himself and instead dived into the ocean as the ship went down. He was sucked underwater by one of the forward ventilators until a blast of hot air thrust him back up to the surface where he saw an overturned lifeboat with a few dozen people clinging to its sides. He swam over, organized the survivors and taught the men how to counterbalance swells so they wouldn’t be thrown into the freezing water again. He would be the last survivor of the RMS Titanic taken on board the Carpathia. His recommendations on how to avoid future such disasters — lifeboats based on passenger number instead of tonnage, lifeboat drills for both passengers and crew, manned 24-hour radio communications, mandatory transmission of ice warnings — would become standard practice in the industry. You can see why his wife and daughter didn’t want so sterling a reputation for courage and sacrifice to be tainted by his one Titanic lie. This isn’t breaking news or anything, but it’s news to me and I’ve been obsessing about it for 2 days. Greek armies from at least the 6th century B.C. 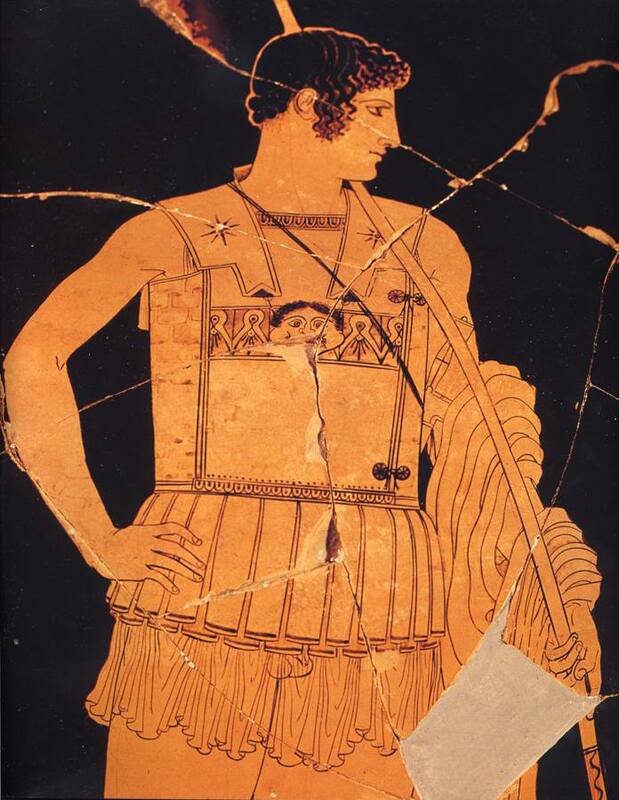 through the Hellenistic period (the era after Alexander’s conquests when Greek military strength and cultural influence were at their peak) wore an armour made out of linen. It’s called linothorax, a thorax being an armoured chestpiece and lino being, well, linen. The famous floor mosaic of Alexander found in the House of the Faun in Pompeii depicts him wearing a linothorax. 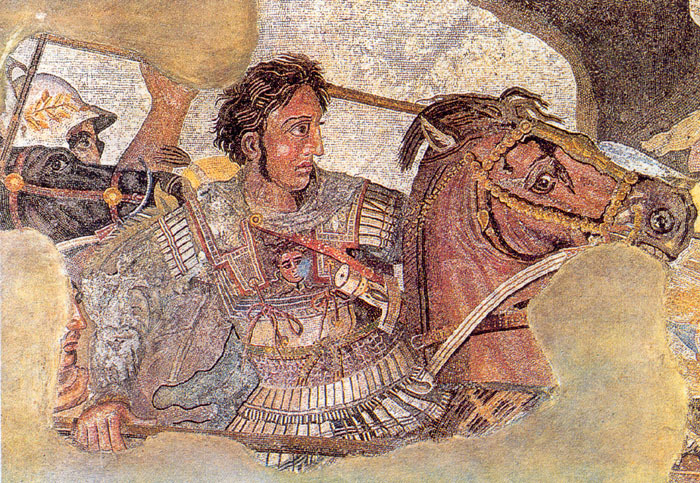 Although the mosaic was made 400 or so years after Alexander died, it is a copy of a Hellenistic original from Alexander’s time. You can’t tell from looking at it what it was made out of, of course, but that kind of armour has been depicted in hundreds of Greek vases, sculptures, reliefs, as well as described in ancient sources. None of it has survived, however, unlike its metallic brethren, so it’s a bit of a mystery. We know there was tube and yoke armour made out leather as well as metal, but how could linen, a fabric worn in summer because of its easy breezy breathability, provide any kind of protection against arrows and swords? The trick is layering. Layers of linen were laminated together, glued or stitched in a quilted pattern, creating a remarkably strong barrier against penetration. Of course it wasn’t as strong as metal plate armour, but it had other advantages: light weight, flexibility, comfort, low cost, widely-available, easily crafted materials, and it doesn’t turn into a oven the minute the sun hits it, a major advantage in the scalding Mediterranean summer fighting season. Linen’s unique breathability becomes a laminating advantage, in fact, because once it’s glued together it becomes a solid block. University of Wisconsin-Green Bay History professor Gregory S. Aldrete has put the linothorax through a rigorous battery of tests. This is the mystery that the UWGB Linothorax Project is exploring. Using the available literary and artistic sources, the group has reconstructed several linothoraxes using only the authentic fabrics and glues that would have been available in the ancient Mediterranean. These reconstructions and various sample patches were then subjected to a series of tests to precisely determine how wearable this armor was, and how effective it would have been in protecting its wearer from common battlefield hazards, especially arrows. This involved actually shooting the test patches with arrows and measuring their penetration, as well as hitting them with a variety of weapons including swords, axes, and spears. Also be sure to check out this sweet poster the UWGB team put together for the 2010 meeting of the Archaeological Institute of America. It won the 2010 Best Poster Award from the AIA, and it’s easy to see why. It covers ancient literary and decorative sources of information about the linothorax, plus the reconstruction process and the test results. 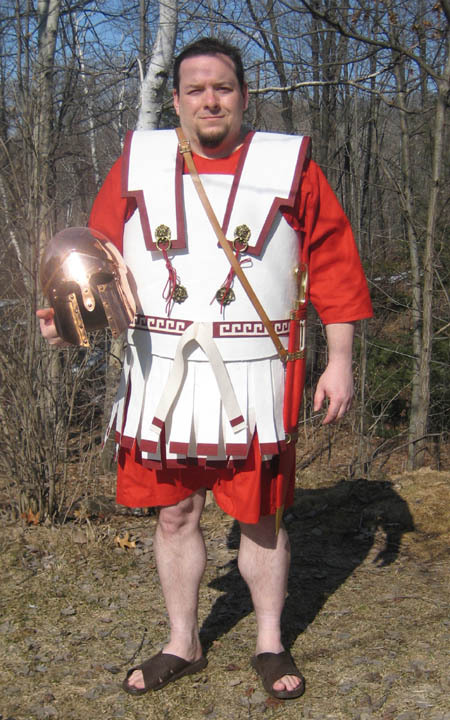 Last but not least, here’s a pattern (pdf) so you make your own ancient Greek armour from the comfort of your own home. When BP Deepwater Horizon blew its stack and began spewing millions of gallons of crude oil all over the Gulf Coast, archaeologists from local universities and from the National Park Service sprang into action. Environmental resources can spring back from catastrophe. It takes a lot of work and commitment, but it can and does happen. Archaeological resources, on the other hand, once destroyed are gone forever. The strong response to the disaster from cleanup crews and the archaeological community has made lemonade out of the sourest of lemons. People working to clean and protect land and sea have uncovered at least 40 previously unknown prehistoric sites along the coast. 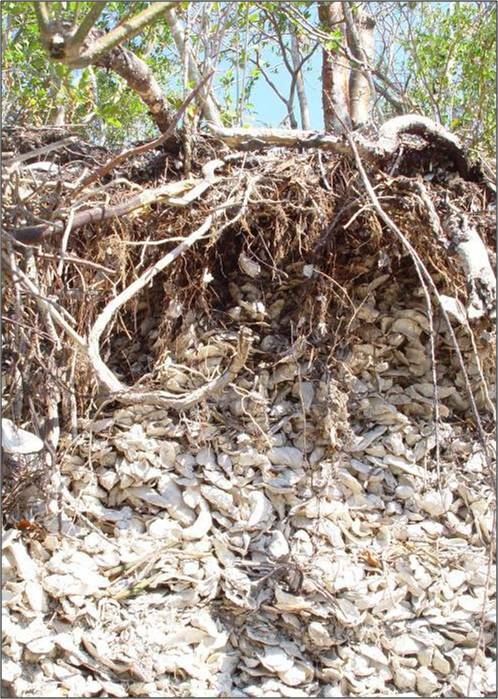 There are thousands of shell middens (piles of shells left behind by prehistoric Gulf Coast peoples over generations of seafood meals) along the coast, but they have barely been documented, never mind researched. These peoples didn’t leave behind written records or buildings, so going through their trash is our sole source of information about 10,000 years of early American history before the Spanish landed in the 1500s. Church says very little oil has made it to fragile sites like shell mounds and the amount that has should biodegrade. The oil spill presents a unique opportunity. It’s rare archeologists get to do a study encompassing several miles of coastline. “I think we’ve discovered 40 undiscovered sites between Mississippi, Alabama and Florida,” says Church. For now, most of what church has found is raw data and pictures, he hopes it can be used by other researchers to aid in further study of prehistoric life on the Gulf Coast. He may be a tad overly optimistic when it comes to oil contamination of these midden sites. It’s great that only a small amount of oil has reached them, but even just a small amount can stymie archaeological analysis. Radiocarbon dating, for example, will no longer return accurate results when organic materials have been mixed with oil. Fossil fuels are really old, after all (hence the fossil), so radiocarbon dated oily midden shells will show as far older than they actually are. Still, considering the worst case scenarios that seemed very likely during the long months of cleanup, the news for the Gulf Coast’s rich archaeological sites overall is good so far. It remains to be seen how well artifacts and shipwrecks on the sea floor cope with the oil. It’s much more difficult to monitor, document and protect underwater archaeological sites than it is to scour the coastline.